This beautiful silver plate is from eighteenth century Spanish colonial Mexico. 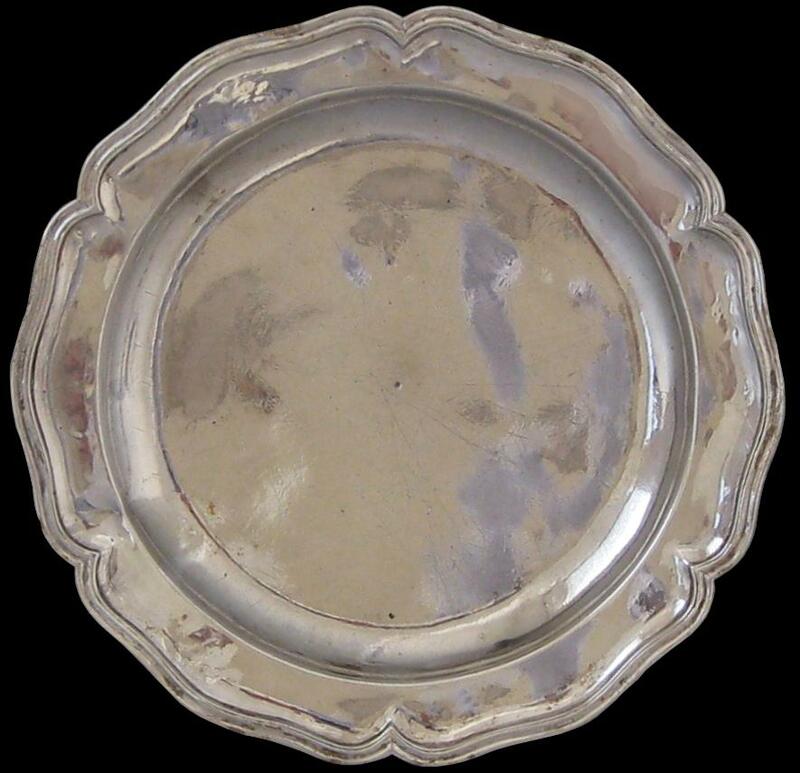 Made of hammered and chiselled high-grade silver the plate is heavy for its size and has a beautiful finish. (Among Central and South American silverware, colonial Mexican silver tends to be the heaviest.) It follows the classical Louis XVI style with a double six-lobed or scalloped rim. It has two indistinct maker’s or assay marks to the front. 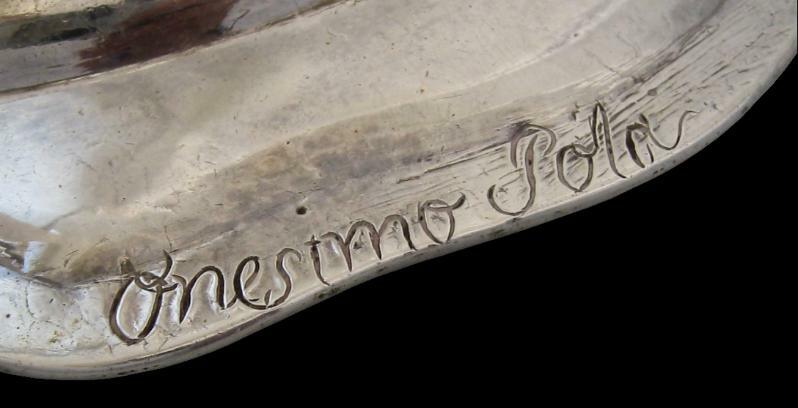 The reverse is inscribed towards the rim with the owner’s name: ‘Onesimo Pola’. 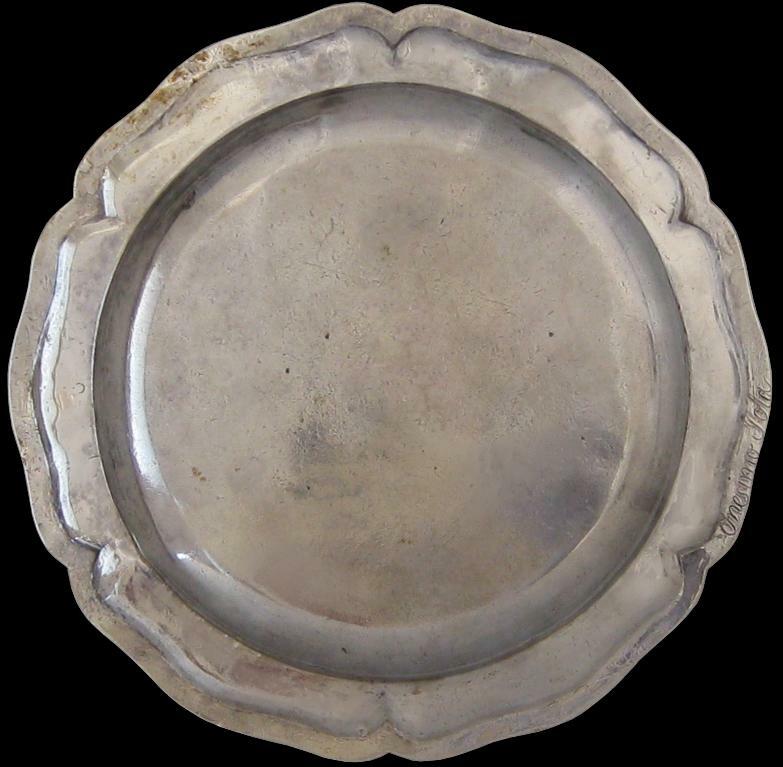 Platters and trays were used widely by Spanish colonials. Plates such as this example were used for serving salad or small amounts of beef stew. Overall, this is a very pleasing plate with excellent weight and patina. Mexicaans Zilver/Mexican Silver, Museum voor Sierkunst (Gent), 1993; Arte Europeo, Plateria Novohipana (1600-1830), 1994; and Davis Boylan, L., Spanish Colonial Silver, Museum of New Mexico Press, 1974.
for another Spanish colonial silver plate.